The cinema has played no small part - both in filmmaking and exhibition - in this "varied and lively centre" by the sea., called St Kilda. 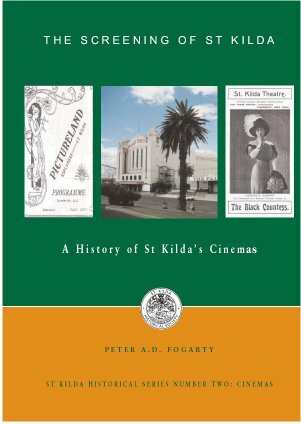 This publication covers the history of cinemas in St Kilda from several points of view: places which showed movies, the making of movies in St Kilda, and the interrelationships between the cinema and its place in society. Peter Fogarty studied public history at Monash University, lived in St Kilda with a passion for cinemas within St Kilda.